Alia wrote about “the depths to which private employers will go to extract the most labor from workers for the least cost,” and how on-call workers, those who don’t know when their employers will need them, have trouble making ends meets. 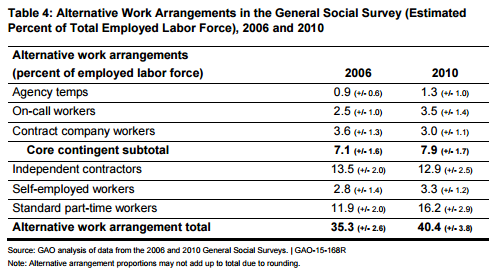 Congressional investigators examined the size of the “contingent” workforce — these are workers who don’t have permanent jobs, tend to earn less than others and are less likely to have access to benefits. 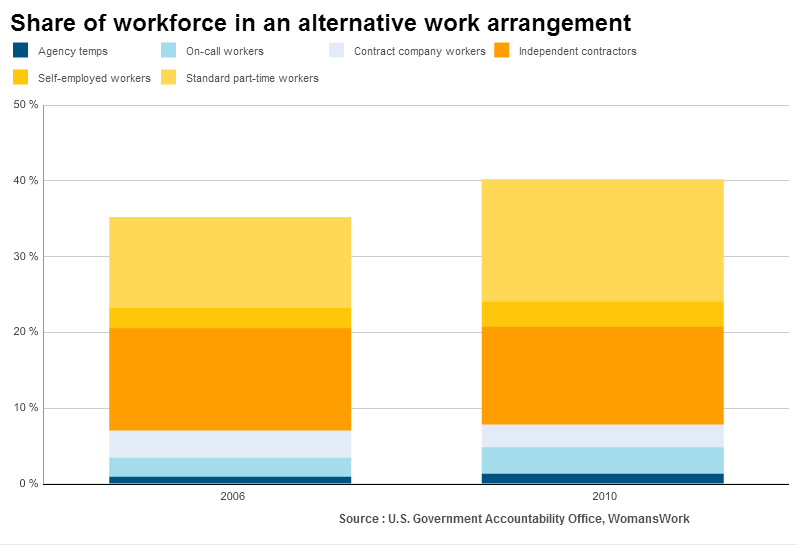 The Government Accountability Office found that contingent workers have seen their share of the total labor force grow in recent years, a trend likely tied to the Great Recession. This expansion may explain why there’s been such weak wage growth even though the unemployment rate has trended down for years. On-call-work issues are particularly salient to women workers. Women tend to make less than men and are more likely than men to head households with only one parent.